Much ministry to children looks more like mere entertainment than authentic spiritual formation. But what if children's ministries were rooted in a mind set whereby we taught children, with our words and actions, how the story of God, the story of church history, the story of the local community, and the story of the child intersect and speak to one another? What if children's ministry was less about downloading information into kids' heads and more about leading them into these powerful, compelling stories? Beckwith aims to help ministers and parents create a ministry that captures children's imaginations not just to keep them occupied, but to live as citizens of the kingdom of God. In addition to providing theological reasons for formational children's ministry, the book offers examples of how Ivy and other practitioners are implementing a formational model. 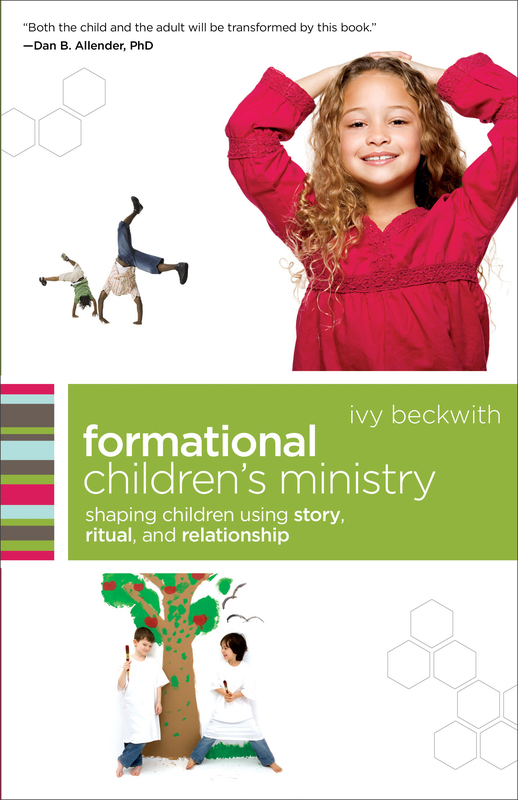 Formational Children's Ministry by Ivy Beckwith was published by Baker in February 2010 and is our 20056th best seller. The ISBN for Formational Children's Ministry is 9780801071874. Be the first to review Formational Children's Ministry! Got a question? No problem! Just click here to ask us about Formational Children's Ministry.